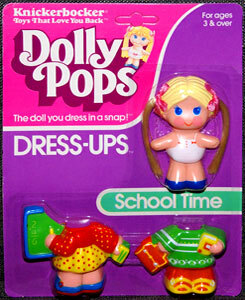 "The doll you dress in a snap!" 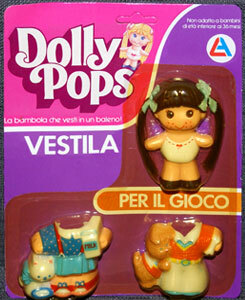 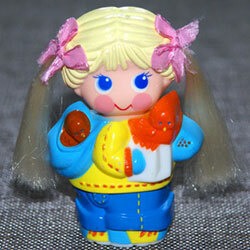 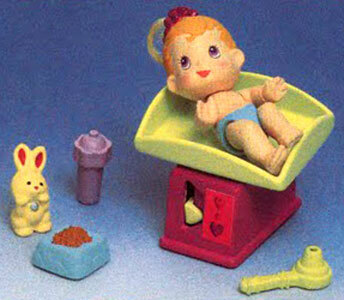 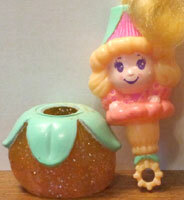 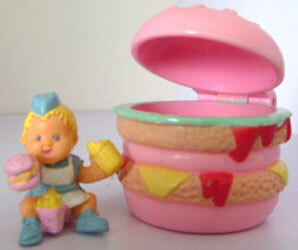 Dolly Pops was produced by Knickerbocker from 1979 to 1982. 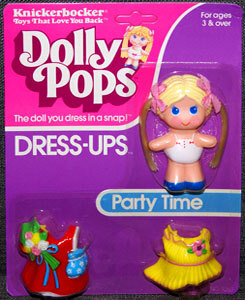 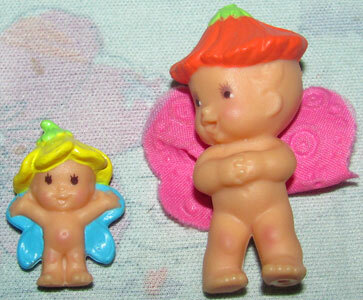 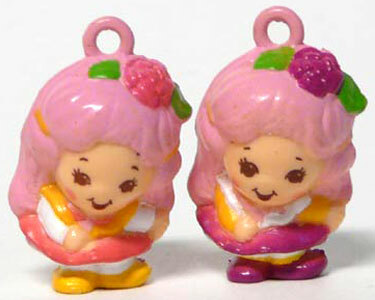 They were a series of flat-backed, hard plastic doll with pop-on/pop-off plastic outfits. 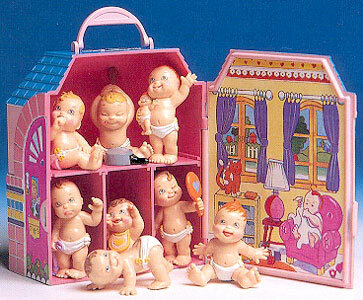 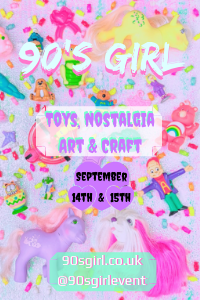 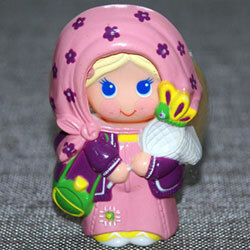 The 2-inch dolls were sold on their own, with carry-case playsets, and also larger playsets. 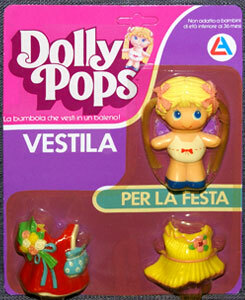 In France they were produced alongside Clodrey, and in Canada with Ganz Bros. 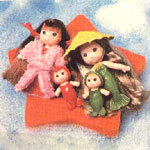 There were four Dress-Ups produced in 1982. 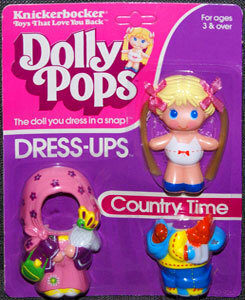 Each doll came with two outfits. 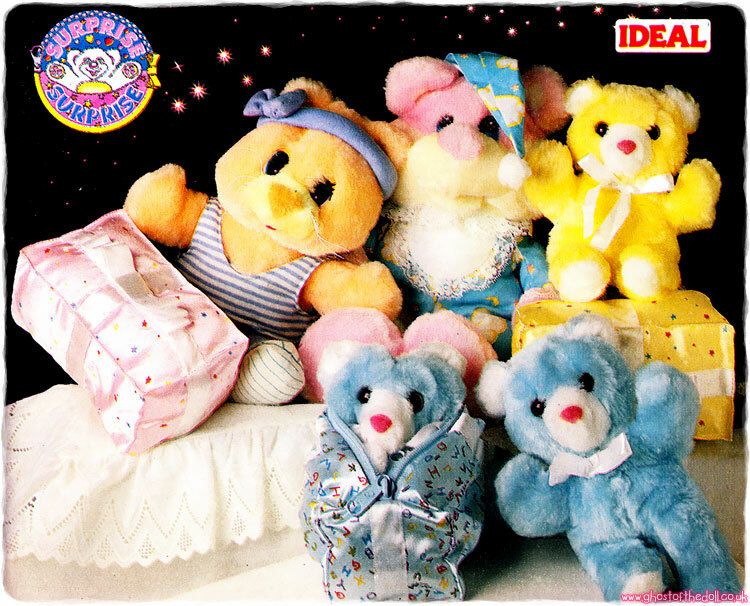 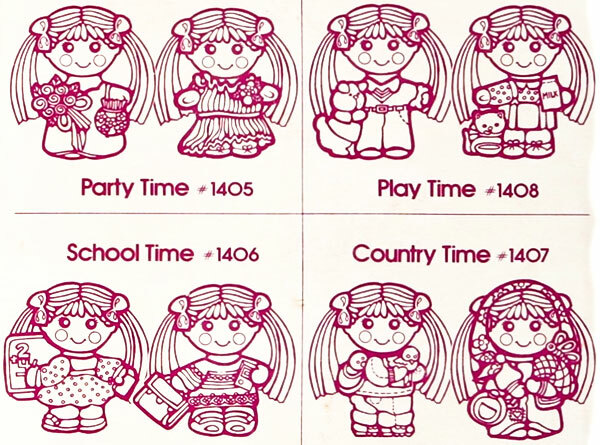 The back packaging was simple illustrations of the four dolls available. I've found Country Time with blond hair and two different tops. 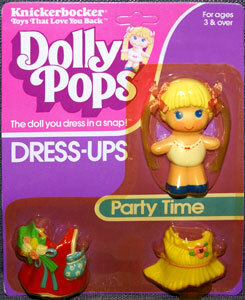 I've found Party Time with both red and blond hair, and all three kinds of tops. 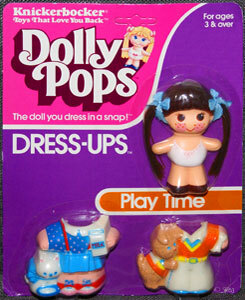 I've found Play Time with brown hair and two different tops. 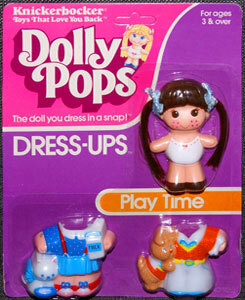 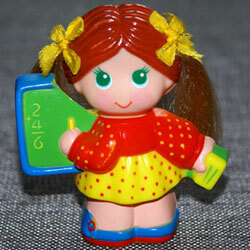 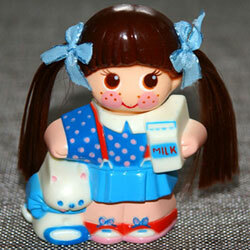 The dolls also varied in the amount of freckles they had (four or five). 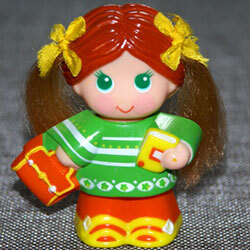 I've found School Time with both red and blond hair. 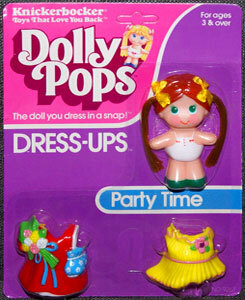 The dolls were produced with three hair colour, but the styles varied as did their underwear. 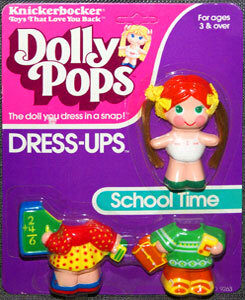 The blond and brown haired dolls came in all available styles, but I have only ever see the red-head in the one style. 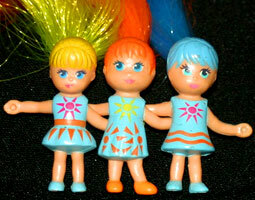 This image shows the three hair colour, styles and underwear produced. 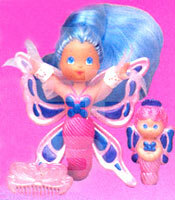 The ribbon colour always stayed the same for the hair colour. 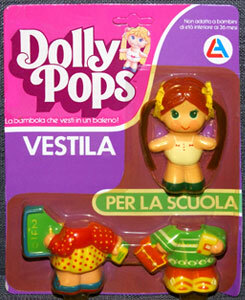 This is the three brown haired dolls, note the freckle variations also. 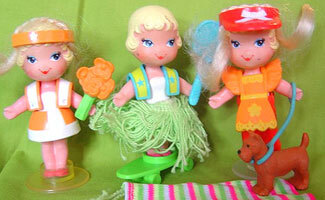 This is the three blond dolls. 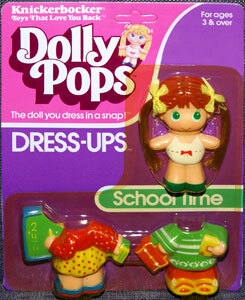 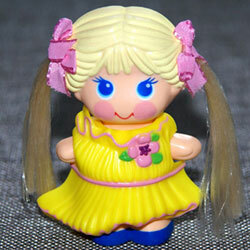 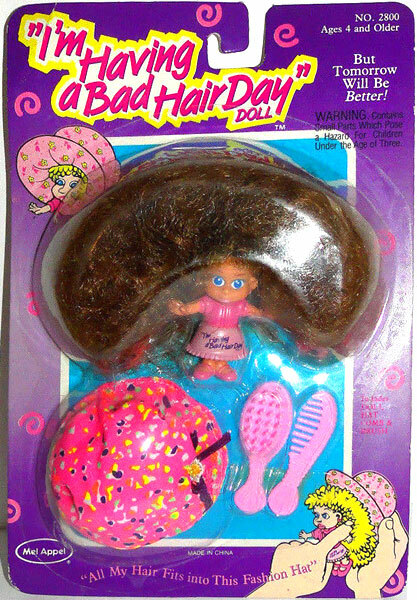 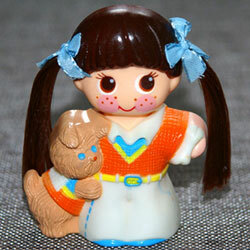 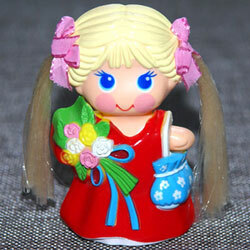 The "Pop House" doll came with braided hair with ribbons at the bottom and a lever at the back which shorted her hair.